Demand an End to the Violence against Protesters! 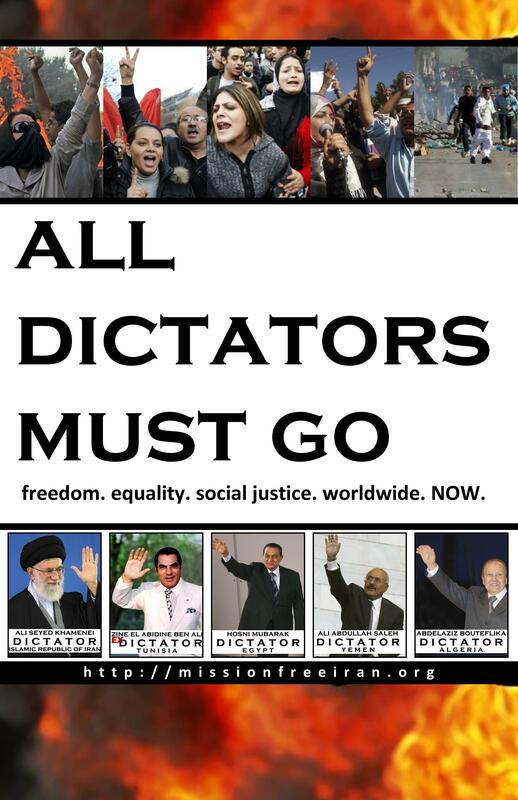 Not One More Dollar to Fund Mubarak’s Dictatorship! From 9am Eastern Standard Time (EST) to 5pm EST, the switchboards at the White House are open to take your comments. 1) Demand that the US government pressure Mubarak to stop the violence against the protesters. 2) Demand that the US immediately freeze all funds flowing to the Mubarak regime: American tax dollars should not support bloody dictatorships! The young Egyptians want freedom and democracy like others, but are unaware of the dangers of Islamist opportunists there. The Egyptian opposition doesn’t have a strong democratic opposition meaning that if their government collapse and the military and security forces give up, the Muslim Brotherhood and their radical and terrorist allies are the most likely ones who would take over. Muslim Brotherhood is the most organized movement in the Arab world specially in Egypt, many of the Muslim organizations including the ones in America are MB affiliates. Hamas, Al-Qaeda and many other terrorist groups were founded by the Muslim Brotherhood members, they have murdered far more Egyptians than the Mubarak government including the former president Anwar Sadat. All the seculars and specially non-Muslims will be oppressed under MB, women will lose their freedom and the country’s tourism based economy will decline because the western tourists will be scared to go to Egypt. The demonstrators in Egypt are far more Islamist than the ones who brought down the Shah of Iran and their revolution was hijacked by the extremists, I have no doubt that if the government of Egypt collapses now, the MB will take over. The west should encourage Mubarak to engage in the democratic transition, help organize democratic political parties and educate the people of Egypt about democracy while keeping the government intact to maintain security. MB ideology is not much different than Taliban, Islamic Republic of Iran or Al-Qaeda, they’re allies of one another, just have different strategies. As an Iranian I am very concerned that if the MB take over, Egypt will become their ally and make it harder for us to overthrow the Islamists in Iran. There are 1000X more freedom in Egypt than there is in Iran and Mubarak and his secular dictatorship regime are peace loving. There should be no rush, start developing democratic parties from now and let the people involve in decision making, work on constitutional reforms that guarantees the rights and equality of all Egyptian citizens regardless of religion or ideology, so within 6 months to a year there can be free democratic elections.